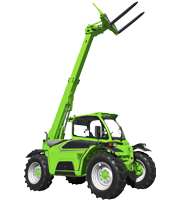 Telehandlers, also called telescopic handlers or boom lifts, are heavy-duty, versatile lifting machines widely used in industry and agriculture. Telehandlers are primarily used for moving items in the following industries: Agriculture, Industry, Roofing, Construction, Electrical, and Tree Removal. Telehandlers can work with a variety of attachments making it a universally useful machine on any job site. Because of the boom’s ability to extend to unreachable places, the telehandler has the movability of a forklift with the extension of a crane. In addition to these standard characteristics of the telehandler, there are a few attachments for different jobs. Pallet forks are most commonly used in industry work to move loads between placed unreachable by forklifts. The bucket is typically used in agriculture and carries or lifts item with the added benefit of a bucket grabber to grab and pull tops of trees. Used for winding rope up or down which is beneficial for tree removal and construction. 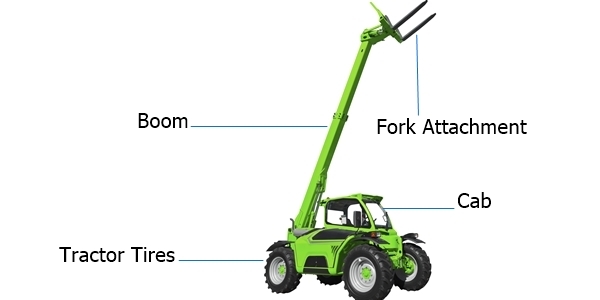 Determine size constraints, job type, and maneuvering needs before picking a telehandler. Telehandlers have rear weights meant to counteract the bulk of the material being lifted or moved; however, the weight capacity begins to diminish as the boom is extended. It is important to account for weight, boom angle, and height when picking a telehandler to ensure it can accomplish your project. The SLA is an important feature of any heavy machinery purchase as it determines the level of care your vehicle can expect from the dealer post-purchase. Finding a dealer that offers a good combination of coverage for labor, parts, and routine maintenance is key in keeping your telehandler running for the long haul. There are several popular manufacturers in the telehandler market including Caterpillar, Genie, JCB, and others.